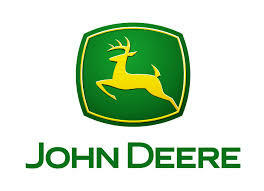 The Deere & Company (NYSE: DE) Board of Directors today increased the company’s quarterly dividend to $.76 per share on common stock. The dividend is payable February 1, 2019, to stockholders of record on December 31, 2018. The new quarterly rate represents an additional 7 cents per share over the previous level – an increase of approximately 10 percent. Certain statements in this report are “forward-looking” statements within the meaning of the Private Securities Litigation Reform Act of 1995 with respect to future events and financial performance. These forward-looking statements involve risks and uncertainties. Actual results may differ materially from those contemplated (expressed or implied) by such forward-looking statements, because of, among other things, the risks and uncertainties found in the Company’s press releases and other SEC filings, including the risk factors identified under the heading “Risk Factors” in the “Management’s Discussion and Analysis of Results of Operations and Financial Condition” in the Company’s most recent Annual Report on Form 10-K, as well as the Company’s Quarterly Reports on Form 10-Q.